When you get restless about making a change and moving to an entirely new place with new opportunities; think Australia. Moving to Australia is simply moving towards opportunity. From work to leisure to education, you get everything in one place. 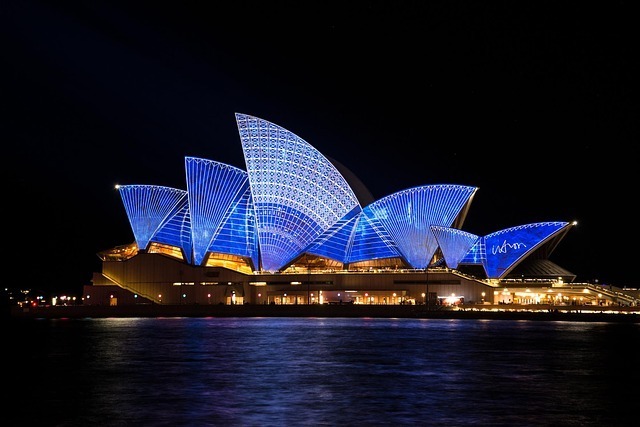 Let us explore five things that make Australia the top country to migrate to. We live in a world where pollution rates are worrying. Air pollution has been linked to 6.5 million heart and lung related deaths worldwide. Water pollution was tied to 1.8 million deaths. Pollution is not a major concern in Australia as it is among the least polluted countries in the world. In addition, the country boasts of one of the best health care systems, should you or a loved one fall sick. Medicare is Australia’s universal healthcare insurance system. Under the plan all Australians and some overseas visitors can access quality healthcare at little or no cost. For the aged, care is highly subsidized as well. Australia is famed as a cultural melting pot, and it does not disappoint on this front. Aside from being home to one of the oldest cultures (Aboriginal Australians), today, 1 in 4 Australian were born oversees and migrated to Australia. Further, 1 in 2 people in Australia have an overseas parent. Australia screams ‘diversity’. This makes it a truly vibrant, multicultural community to live in, with multicultural eateries, events and annual festivities. Also worth noting is that Australia has 19 World Heritage Sites listed by UNESCO. Again, this is not surprising. The country has a variety of unexploited natural ecosystems, tempered with golden sandy beaches, tropical rain forests, arid deserts and snowy mountains and 500 national parks. Couple this with its astounding 10,685 beaches . As a domestic tourist, whatever you consider to be an entertaining, relaxing trip, Australia has numerous options to offer. In addition, Australians are known as some of the world’s friendliest people. Making friends and a solid social circle to explore with is the least of your worries if you decide to settle in Australia. Due to its large size, the climate in Australia varies depending on the part you choose to settle in. For example, the Northern section has more tropical climate: hot and humid in summer and warm and dry in the winter months. For the Southern side, mild summers and cool rainy winters. The winters do not get extremely cold as they do in other countries. Again, this allows you to pick the weather that favors you best. If you lean towards hotter weather, Western Australia, the Northern Territory and Queensland should be great. If you are more of a cooler weather person, Tasmania and South Australia will provide just that. Few countries enjoy such diverse weather conditions. With the low unemployment rates also comes low crime levels, which makes Australia a safe place for you and your family to settle. Further, with its over 1,200 education institutions and 22,000 courses to choose from, you have unlimited possibilities in matters education. Whether you move to Australia as a professional trying to advance education or as a family with kids who want a quality education, Australia is the place to be. In fact, the country has the 3rd highest number of overseas students, with the UK and the US leading the pack. This is proof of the confidence people have with Australian educational institutions. Aussies are also known for their laid back, easy attitude. If you are fed up by living in a country where everyone seems to have a stiff upper lip, Australia is the change you’re looking for. Here, you can let loose and see the lighter, brighter side of life. Australians are less keen on social classes and materialism as well.Here, people are likely to smile back and stop and give you a moment in the streets when you need help than most places in the world. For someone moving into an entirely new environment, this is invaluable. In addition, you can enjoy authentic Australian food, which is mostly meaty, as well as other cuisines from around the world owing to the multicultural set up that is Australia. There is also a good supply of fresh fruit, vegetables and seafood, all year round. If you are a lover of the great outdoors, this is a country where surfing, swimming, biking and barbecuing are in abundance. There is always a flurry of activity outside and the weather is perfect for it. For families with kids, this is an absolutely delightful country to be in. If you have been sitting on the fence about making the move or even making a choice between Australia and other places, these five reasons should help tilt the balance. Australia offers a great environment, stunning landscapes, a multicultural community, great healthcare and opportunities to find a job you will absolutely love. For the kids, you will find great outdoors to explore and learn and a great education system.